How Far is Runwal Symphony? + Pop finished smooth wall surfaces. + Vitrified tiles flooring in kitchen and passage. + Granite kitchen platform, service counter with S.S. Sinks. + Premium quality bathroom fittings and accessories. + Concealed plumbing with premium quality sanitary fittings. + Instant Boiler of a reputed brand. + Exhaust fan in all bathrooms. + Anodized aluminium windows in all rooms. + French windows in living/ bed room. + Designer flush doors with premium fittings. + Provision for concealed electrical points for TV and cable TV in drawing room and master bedroom. + Sleek and elegant professional electrical accessories. + High-quality branded electrical fittings. + Provision for AC in all the rooms. + Professionally managed 24x7 security facility. + Intercom connection in every flat. + Video-door phone in all flats for added security. + Power Back up for common areas. + Multi level car park. Runwal Group was established in 1978, one of the premier real estate developers in Mumbai, they have their footprints in the residential and commercial industry with an awesome track record. They build each project with the best design and architecture suitable interiors and exteriors to achieve their aim of a satisfying customer. 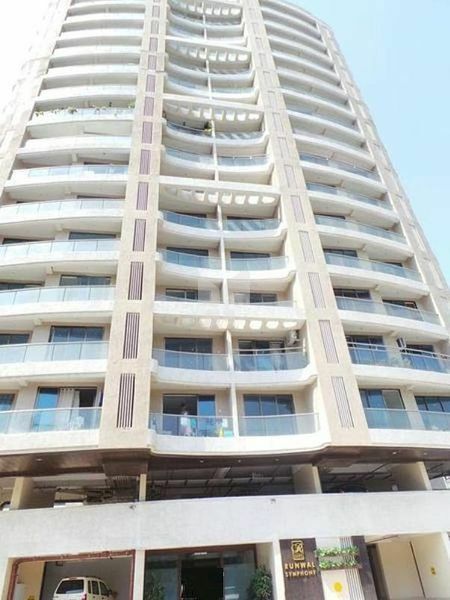 One of their residential projects is Runwal Elina in Sakinaka, Andheri East, Mumbai. They have a team of Professionals who strive day and night to make sure the project is delivered on time in budget, ,at Runwal developers understand and build personal living spaces that reflect the ethos of quality living, Runwal developers also owns and manages the largest retail mall chain in Mumbai with over 2 million Sq ft of GLA that includes Rcity, Ghatkopar (W) – which is Mumbai's Biggest Mall, R Mall, Mulund, R Mall, Thane and R Odeon, Ghatkopar (E). They have constructed many projects some of them are under construction and some are ready to occupy, Runwal My City in Dombivli, Runwal Elegante in Andheri West, Runwal Anthurium in Mulund West and the list goes on. VISION 2020 – Their vision 2020 endeavors to provide the best real estate products to their customers - be it residences, offices or malls. Each product, from high-tech offices, to affordable homes, to ultra-luxurious residences, Runwal Developers is sure to cater to a multitude of customers with varying requirements. They have executed over 50 landmark projects till date. However, they prefer to measure the quantum of their success through the 20,000 happy families that reside there. Today, Runwal Developers steadfast focus on 'quality' has led it to become an industry leader and a customer driven construction company renowned for trust and quality-on-time.